Binary Boy Search Newsgroup for Music Movie and Pictures, fills your hard drive with music, movies and pictures ! Binary Boy Search Newsgroup for Music Movie and Pictures, finds and downloads files of all types, including music, pictures and movies, from newsgroups. Browse manually, auto download or let the scheduler dial-up and collect files. 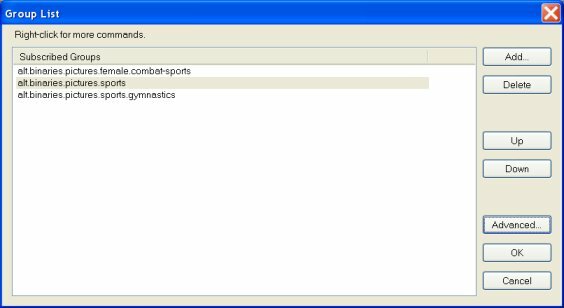 Search using single words, wildcards or AND, OR and NOT logic! Optionally apply custom search rules to each newsgroup. Binary Boy handles yEnc, QP-Lite, UUencoding and Base64 encodings automatically. Sit back and let Binary Boy download and decode the files you want automatically and can decode damaged or incomplete files, which is handy for previewing movies before they are completely downloaded. Fast - Even on a dial-up connection you can discard thousands of unwanted subjects in minutes. Scheduler - The built-in scheduler enables Binary Boy to connect to the news server at a preset time, such as late at night, search for files and disconnect when it's finished. If you have a dial-up internet connection, Binary Boy can even dial and hang up automatically. 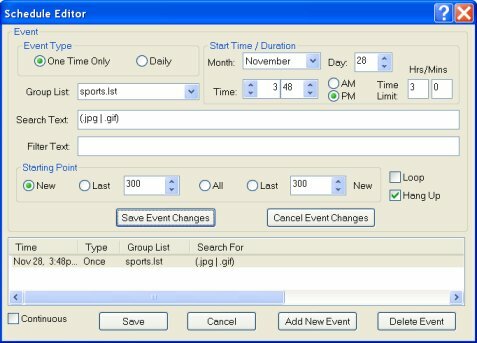 Each scheduled event can trigger daily or on a specific date. Easy to use - Search using single words, wildcards or complex AND, OR and NOT rules such as (.jpg or .gif or .wav) and "Southpark". 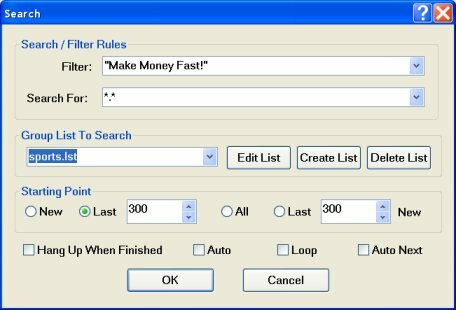 Flexible Searching - Create search rules that apply to every search or create different rules for each newsgroup. Flexible Filtering - Filter articles based on any line in the header, the length of the article or the estimated size of the decoded file. Assembles split files - Individual parts are cached until the complete file can be assembled. If the server doesn't have all the parts, Binary Boy can attempt to decode the files anyway using the Dr. Binary feature. Dr. Binary is also handy for previewing .mpg movies without having to download the entire file. yEnc & MIME Support - Handles Base64, Quoted-Printable, UUencoding and the newer, 20%-25% more efficient encoding methods QP Lite and yEnc and Skip Article, Skip File and Skip Similar commands allow you to cancel downloads already in progress. PowerFTP - A powerful FTP client/server software ! TFTP Server for Windows - Remind you about important events by playing your favorite music or video !